Last week the sun decided to shine on most of the UK, causing excitement overload. Despite the wind and the rain this week, I am trying to remain positive and look to the return of Spring. This season the sleeveless jacket made an appearance in the collections at Jil Sander, Jean-Pierre Braganza and Azzaro. The High Street has followed suit creating this all important extra layer in different styles of faux-leather, denim, cotton and even studded. 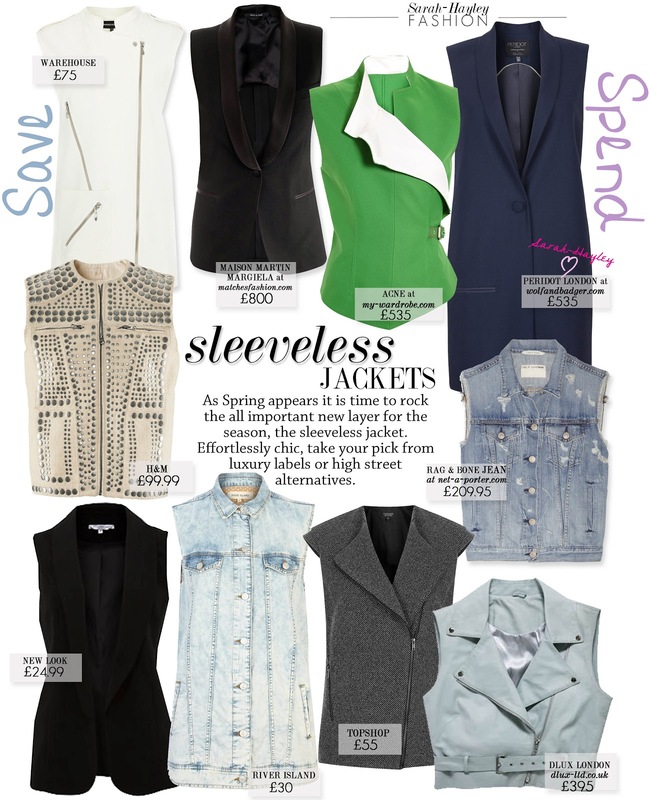 This simple sleeveless jacket can transform your look nodding to the varying SS13 trends of multi-layering, modern tailoring and the new minimalism. STYLE TIP à Wear over a light summer dress, or team the long-line versions with trousers and a crisp white shirt.